Cruise deep into safari country and see the “big ﬁve” in their natural habitat. 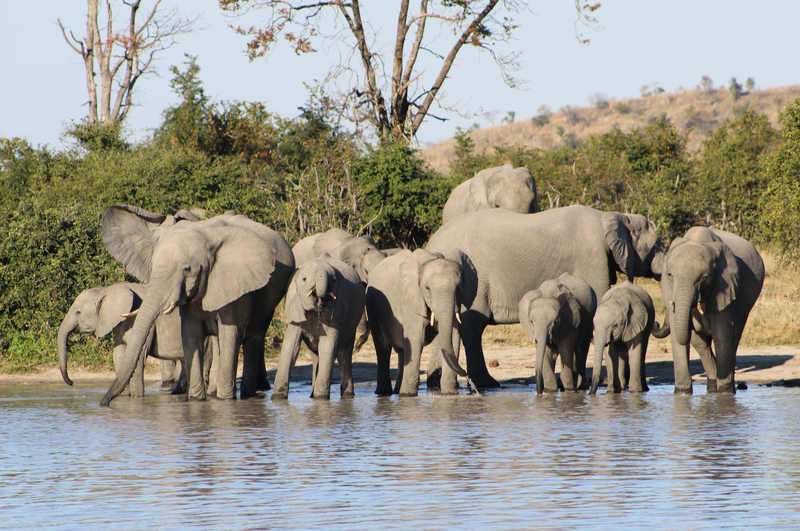 Chobe National Park is set in the wild heart of Africa, where the borders of Botswana, Namibia, Zambia and Zimbabwe converge, and the River Chobe meets the mighty Zambezi. With the Okavango Delta to the south and Victoria Falls to the east, this is classic safari country. Animals gather here in abundance, attracted by both wetland and grassland habitats. Elephants dominate, with a population of some 50,000 (more than a quarter of Africa’s total) so you’re almost certain to see them, but that’s just the beginning. Pods of hippo splash about in the shallows and sunbathe on the riverbank; giraffes contemplate the world from an enviable vantage point as they nibble the juiciest leaves, while even higher overhead, fish eagles patrol and wheeling bee-eaters paint the sky with iridescent colour. Hundreds of Cape buffalo gather at the water’s edge seeking safety in numbers; zebra, impala and kudu tentatively join them, while out of sight – for now – huge crocodiles and hungry lions eye this veritable banquet. In short, a breathtaking diversity of species, great and small, reside in this romantic wilderness, and almost any excursion will be a wildlife-spotter’s dream. 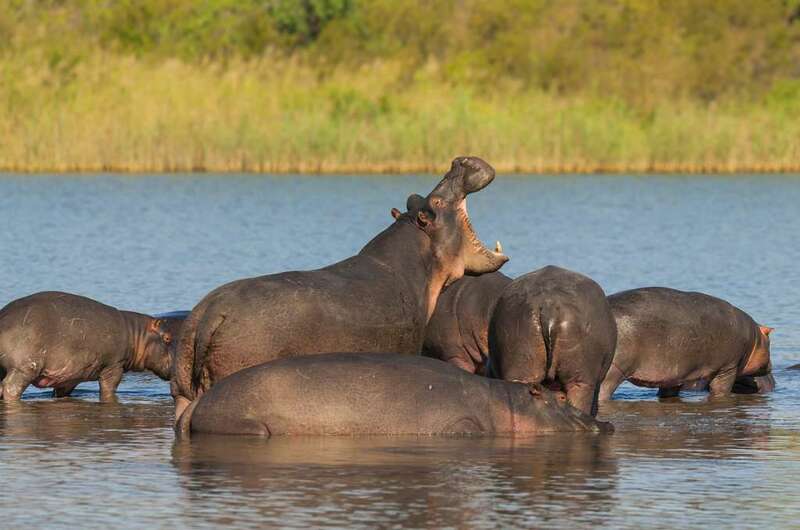 Cruises here are nothing new – Zambezi Queen and Chobe Princess have been sailing for some time – but there have been few opportunities to spend longer afloat in this natural wonderland. 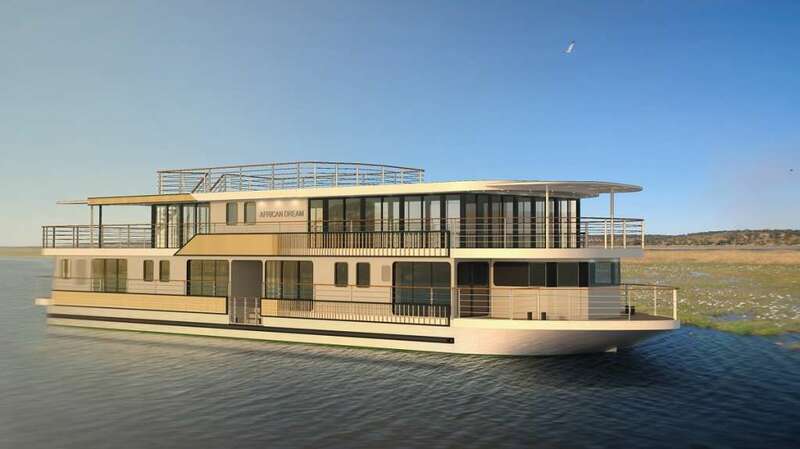 That will change this December, when the eight-suite RV African Dream begins making multi-day trips along the most beautiful and wildlife-rich stretches of the Chobe and Zambezi rivers. Accommodating just 16 guests, the ship has an air of exclusivity and elegance, its interiors fitted out with clean contemporary lines and tribal textiles. The suites, a perfectly acceptable 18sq m in size, are all located on the main deck and all outward facing, two with small step-out verandas and six with French balconies. The multi-tasking crew of eight, serving sundowners in the stylish lounge bar and high-quality cuisine in the panoramic restaurant, will no doubt seem like friends by the end of the cruise. Yet despite the vessel’s bijou dimensions there is the chance for secluded relaxation on the rooftop sun terrace. Four days aboard RV African Dream is one of several highlights in a grand African adventure devised by CroisiEurope, better known for river journeys closer to home. Also included are three days in Cape Town, with a cablecar ascent of Table Mountain, a guided tour of Robben Island by one of its former prisoners, wine tasting at the venerable Groot Constantia estate, and a circuit of the magical Cape Peninsula, with its unique flora and fauna including a delightful colony of penguins. Guests then fly to Johannesburg to experience Soweto, a fascinating community of extremes, and on to Kasane, gateway to Chobe National Park, with three nights in CroisiEurope’s own luxurious lodge. Here you’ll be offered cultural insights aplenty, with visits to a local school and village. The cruise follows, then it’s on to another wonder of the natural world, Victoria Falls. Here, at its broadest point, the Zambezi plunges more than 100m in a series of roaring cataracts, throwing up the clouds of spray that earned the falls its Swahili name Mosi-oa-Tunya (“the smoke that thunders”). An optional helicopter flight reveals the glory of the falls from above.